Should I Start My Own Chef Recruitment Business? Home > Ask Our Experts > Should I Start My Own Chef Recruitment Business? Q.I have been a chef for over 25 years and have become increasingly frustrated by agencies or sourcing firms sending totally the wrong person for the job and charging the earth for doing so. I want to start my own sourcing agency from home so I can allocate the right chef to the right hotel or restaurant. I want to try and get the business off the ground while still doing my head chef job until which time money will allow me to devote my attention to the business full time, does this sound viable? Starting your own chef recruitment agency is a major step to take, but that does not mean that it is not the right choice for you. What you do need to do first is think about all the possible implications of starting your own recruitment business, rather than the fact that it will answer one particular head ache that you are currently experiencing. You are right that agencies can be very frustrating to deal with - there seems to be an endless amount of square pegs to fit in round roles and then you receive a bill for two grand for the privilege. Before we talk about starting your own agency, are you certain that you have explored all the possible agencies you can use? It may be that you would prefer to stay as a head chef but have better access to the type of quality and calibre staff that your establishment needs. Rather than simply use your local recruitment agency and keep being frustrated at the quality and service, have you thought about recruiting catering staff from overseas? 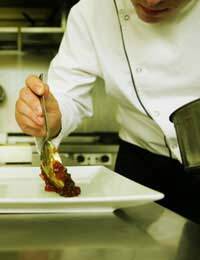 There is indeed a shortage of skilled chefs in the UK as being a qualified, senior restaurant chef or hotel chef from overseas can enable you to gain a visa for their UK employment. If you are still set on the idea of launching your own agency, you need to ask yourself some questions. Do you have a good network of contacts? You may have enough people to start your business, but are you able to sustain it? Do you enjoy sales? You don't need to be able to sell ice to eskimos as your USP will be your own experience as a chef, but you do need to be able to negotiate and conclude deals. Are your family behind you? If you are planning to work full time as a chef as well as launching your recruitment agency, you will need the support of your personal network more than you could anticipate. Still Want to Start a Recruitment Agency? Once you have asked all those questions, ask yourself honestly if you want to go ahead. The bottom line is you can make great money in recruitment - but it also takes a great deal of commitment. Put some feelers out to fellow chefs to see if they would be interested in looking for a new job and contacts in the hotel and restaurant industry to see if they are happy with their current catering staff supplier. Many restaurants and hotels find it very hard to get decent, reliable chefs for their establishments, so if you have the drive, support and commitment - go for it! What Sales Targets to Set for My Recruitment Staff? How Do I Expand From Temps to Permanent Placements? How do I Get My Recruitment Agency Started? How Can I Improve Our Company Website? I will like to start my own recruitment agency . Hi I am thinking of opening my own recruitment business. I have been working in Food & Beverage industry for 7 years. I have worked in different countries and in many different companies. Besides I have got NVQ 4 Accounting qualification. My family is going to give me financial and practical support. It will be great if someone can help me by answering my questions. 1. What kind of capital will I need? 2. Can I start with my house address which is a rented property? 3.What type of paper works will I have to go through? 4.Can I start the business by registering as a Self employed?